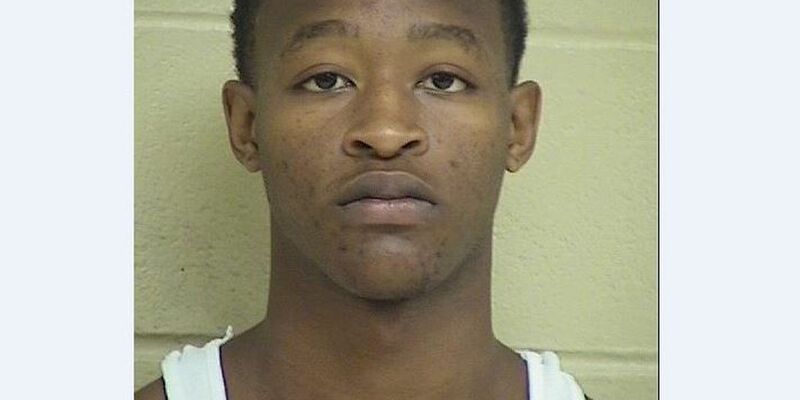 SHREVEPORT, LA (KSLA) - Shreveport police have arrested a man for his alleged role in striking a woman in the face with a metal object last month at a convenience store. Just before 9:30 p.m. on July 26, officers were called to a convenience store in the 4400 block of Hilry Huckaby III Avenue on reports of an assault and battery. When officers arrived, they found 18-year-old Jessica Byrnes-Laird who was suffering from injuries to her face. Police say Byrnes-Laird's boyfriend got into a fight with several other men at the store. That's when authorities say 18-year-old Jalen A. Jack threw a metal pipe, striking Byrnes-Laird in the face. Jack was booked into the Shreveport City Jail on one count of aggravated second degree battery. A week after being attacked, Byrnes-Laird is slowly recovering emotionally and physically. "You realize how much you smile, when you can't smile," said Byrnes-Laird, who explains she is relieved Jalen Jack has been arrested. "At first it was disbelief, I was shocked more than anything," Byrnes-Laird said about the attack. This morning, she says she and her boyfriend helped identify the man that surveillance video allegedly shows as Jalen Jack. "I have this guy's face burned into my mind," she said. A police spokesman says he's not aware if any more arrests are expected in this case. But Byrnes-Laird believe the other men involved in the fight need to be charged. "There are still four other guys out there who aren't getting any attention," said Byrnes-Laird. "There were 5 people, one person threw the rod, but five should be held accountable," said Brenda Pelletir DeLoach. Support for Byrnes-Laird has poured in online. In just about a week, hundreds of people have donated thousands of dollars to her GoFundMe account. "It's been absolutely overwhelming, the support of the community has been immense, the prayers, the donations, the well wishes," said DeLoach. Byrnes-Laird says the support is helping her get through the situation. "It's keeping me thinking positively, it really is, it shows me people care. People I don't even know, care a lot about the situation and that gives me strength." The money donated will help pay for her medical bills. Copyright 2015 KSLA. All rights reserved.